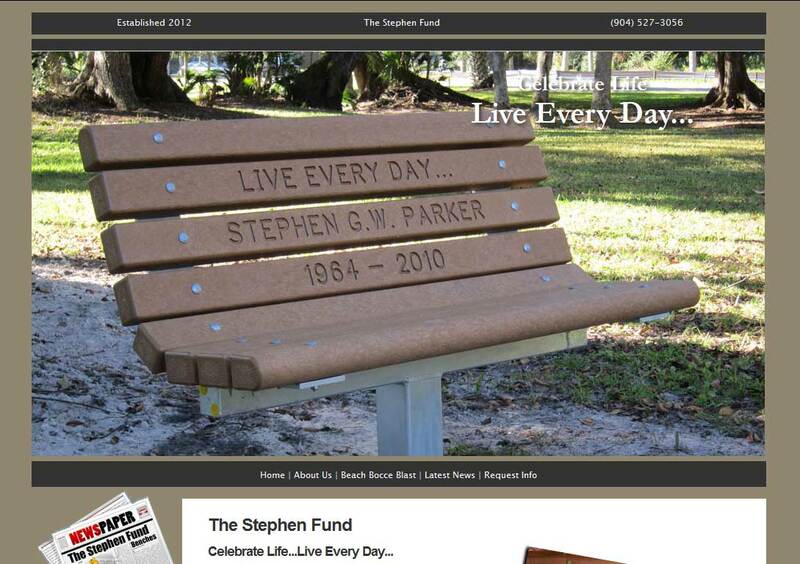 DESCRIPTION: The Stephen Fund website was designed and developed by PTC Computer Solutions. Stephen George William Parker was born in 1964 and died of colon cancer, Mother’s Day 2010. But, Stephen never gave up and never failed to Live Every Day… This is the motto we think of when we think of Stephen and we want everyone to have the chance to be remembered through giving. Live Every Day… Don’t forget those who have brought you to this point and those who are no longer here to hold and cherish. Please help us help others. Donate to our fund, The Stephen Fund. You can find out more by going directly to their personal website, www.thestephenfund.com, or contact them directly at info@thestephenfund.com or (904) 992-9888.